The Senate’s failure last week to pass a Republican alternative to Obamacare may look like a new lease on life for the Affordable Care Act, but it is actually more like a stay of execution. To be sure, I am not predicting any quick legislative action. That ship has sailed. The House is already moving on to tax reform, and the Senate will soon have that topic on its plate, as well as a long backlog of executive and judicial branch appointments to consider. After six months of intraparty wrangling over the form that a restructuring, repeal or replacement of the law should take, there is no immediate reason to expect a different outcome – and, therefore, no reason for Senate Majority Leader Mitch McConnell to try again. But the Affordable Care Act will not survive in its current form because, structurally, it can’t. One of its key features is to overcharge healthy young adults who are theoretically supposed to buy insurance anyway, either because it is the right thing to do or because they face financial penalties for failing to do so. But the penalties lack teeth and are still cheaper – often much cheaper – than buying the overpriced coverage on offer. The law today only covers a fraction the people it was expected to cover when it was passed, and about half of those get their insurance for free via Medicaid. Supposed beneficiaries of the law are staying away by the millions. That was true before this Congress took up the law, and it remains true now that it has put the topic down again. In fact, most people who support the law as it stands or with minimal changes (all of which would involve spending more federal money) are people who don’t get their insurance on the law’s individual exchanges; like most Americans before and since the Affordable Care Act was passed, they get insurance through their workplaces. Most of the remainder of Obamacare’s fans pay nothing because they are covered under the law’s Medicaid expansion, pay little because they make very little and are heavily subsidized, are older and have rates that are kept artificially low because healthy young adults are correspondingly overcharged, or are already sick and thus very expensive to cover. On top of all this, a key element of the law’s funding has already been found unconstitutional by a federal district judge. 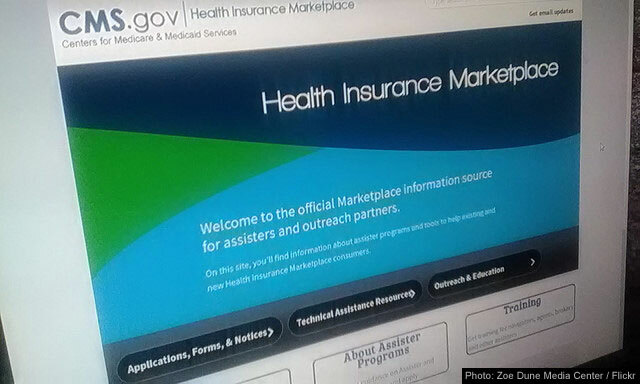 The suit in question, House v. Burwell, centered on administration spending to reimburse insurers who provided coverage to working-poor policyholders, an essential element propping up the Affordable Care Act’s creaky exchange market. Since such spending was not formally appropriated through Congress, the House of Representatives asserted that it was unconstitutional. Federal District Court Judge Rosemary Collyer ruled in the House’s favor in April 2016, and the Obama administration filed an appeal that July. Now, however, the lawsuit (since renamed House v. Price) is in the hands of the new administration, which could theoretically order the appeal dropped. If the Trump administration does drop the appeal, Obamacare’s individual insurance exchanges will die a quick death. That doesn’t mean the law will go away. In particular, the Medicaid expansion does not rely on the funding mechanism for the exchanges, so Medicaid patients – those truly at or close to the poverty line – won’t lose their coverage. They face a different problem, which is that in many areas Medicaid coverage isn’t worth very much, because few doctors accept new Medicaid patients. The answer to that problem is a vibrant private insurance market, which is exactly what the Affordable Care Act has proven unable to sustain. So what will happen, and when? Arizona’s Republican Sen. John McCain cast the deciding vote against the last GOP option, the so-called “skinny repeal,” because he fantasizes that this will force a bipartisan solution to the Affordable Care Act’s problems. This is not going to happen. Not a single Democrat, in either house, has voted for a single GOP proposal all year. Republicans can’t even agree among themselves what they want to accomplish; they certainly won’t agree with the law’s original authors, who likewise passed their plan on a straight party-line vote. McCain was recently diagnosed with brain cancer. I’m not wishing him any further misfortune, but if the disease should force him out of the Senate before next year’s elections, Arizona’s Republican Gov. Doug Ducey would appoint a replacement for McCain. If that happens, McConnell might find a way to reopen the issue if he thinks he can scrounge the votes to pass something. Alternatively, Republicans might well pick up additional Senate seats in the 2018 elections. Ten Democrats are seeking re-election in states Trump carried last year; the GOP could pick up several additional seats to give themselves more breathing room. They won’t get a filibuster-proof majority, but they could conceivably either change the filibuster rule (a move the president has reportedly pushed for) or again use the congressional budget reconciliation process to pass something with as few as 50 votes, with Vice President Mike Pence breaking a tie. This would push Affordable Care Act reform into the next Congress, which takes office in January 2019. Or, conceivably, things might get so bad on the exchanges and so politically dangerous for certain Democratic incumbents that they might break ranks and vote for some version of a GOP-backed reform. This appears to be a long shot, but there are enough vulnerable Democrats that it can’t be ruled out. One way or another, the inevitable always happens. And change – big change – in the Affordable Care Act is inevitable. The law was fatally flawed from its beginning, and the failure to change it means, in the end, nothing has changed. Whether by its own design or one fostered by the Republicans, the Affordable Care Act as it currently stands is doomed.